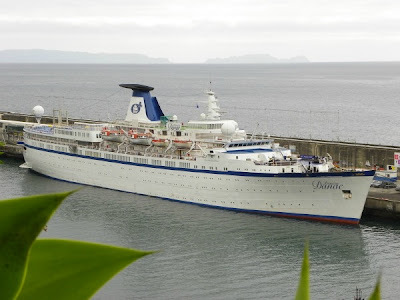 AZORES PASSENGER SHIPS by Maritime Historian and Photographer Luis Miguel Correia is a marvellous and moving job, the whole book is beautifully written, absorbing and educational, it's a terrific account of the ships of the past and present visiting the Portuguese Islands of the Azores, packed full of detail, the author is to be congratulated, a must for all ships enthusiasts and anyone with an interest in Maritime History. 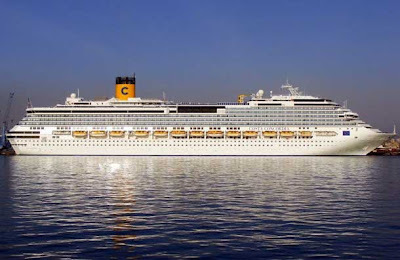 P & O SHIP "CATHAY"
The 17,000 GT and 570 passenger PRINCESS DANAE has begun recently out of Marseilles a round the world cruise with the duration of 127 nights. 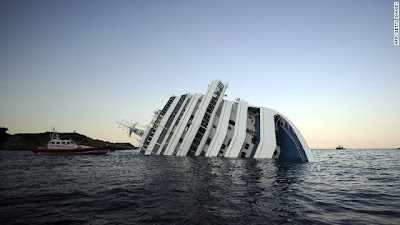 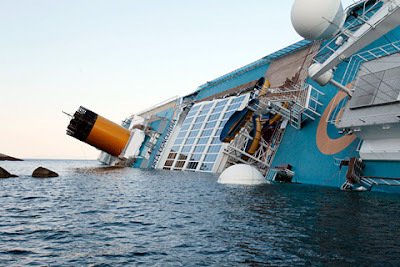 The portuguese flagged cruise ship is currently chartered for the french market by the touristic operator Notre Temps. 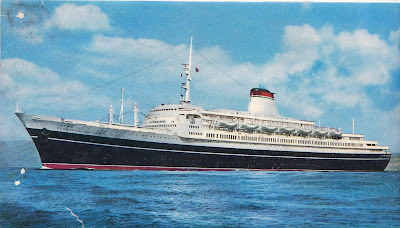 Therefore PRINCESS DANAE visited Funchal this week on a westbound transatlantic to the Caribbean before making her way to the Pacific passing the Panama canal first. 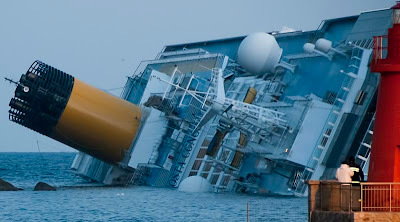 Hard to believe but the ship's lower structure is at sea since the mid 50's, when she was built by Harland & Wolf shipyards and started operations as a refrigerated cargo ship named PORT MELBOURNE. 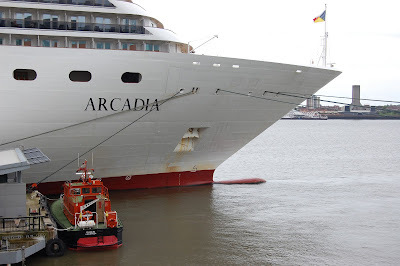 She was eventualy converted for passanger shipping and went through different changes before being purchased by portuguese owned Arcalia Shipping, nowadays knowned as Classic International Cruises. 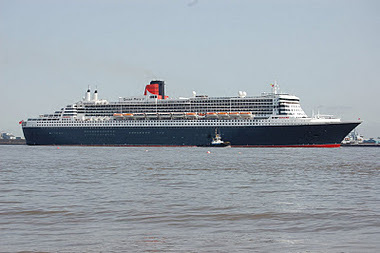 The QM2 made yet another visit to Madeira today, from Southampton on her first port of call of the 2012 World Cruise. 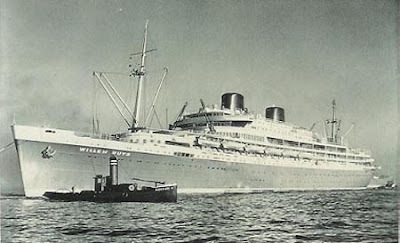 In this first leg of the 108 night grand journey, the Cunarder is southbound towards the Cape of Good Hope. 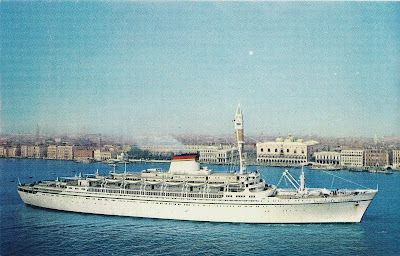 Afterwars she's due to visit several other destinations in Australia, Far East, India, Midle East, Suez Canal and the Med. 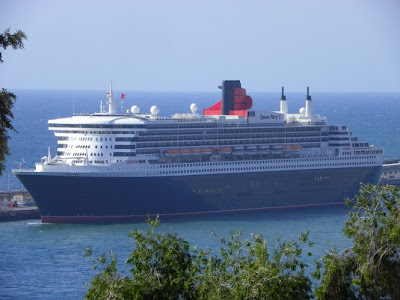 It was almost eight years ago, on the 15th January 2004 that the QM2 made her inaugural in Funchal, first port of call on her maiden voyage. 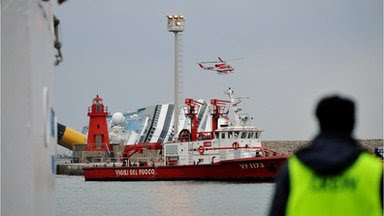 And what a great event it was, as a crowd of locals, myself among them, wake up very early to witness the largest cruise ship in the World at the time making it's way in the bay. 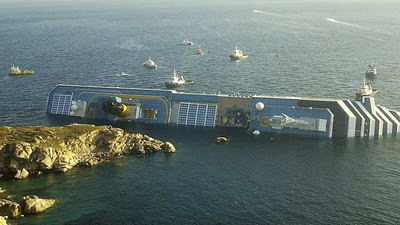 A special date to remember in my ships enthusiastic life forever.Text & Photos: João Abreu-Funchal. 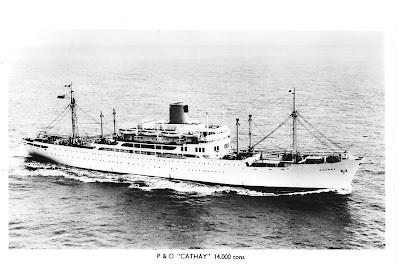 Recommended books and website for SS "CANBERRA"